Born in 1951 in Chon Buri, Thailand, Decha Chareonchai studied Art in Silpakorn University and University of Kansas before working as Art Director in New York. 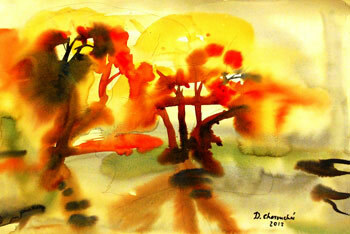 The artist presently lives in Pathum Thani, Thailand. 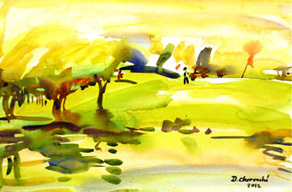 The mountain floods that occurred in Thailand in 2011, inspired Decha to express his thoughts and emotions through his art. 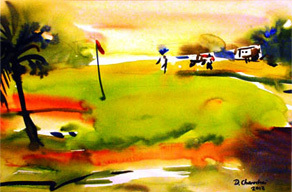 The series of the Mueng Ake Golf Course landscape artworks were created near Dong Mong Airport and Rangsit University. 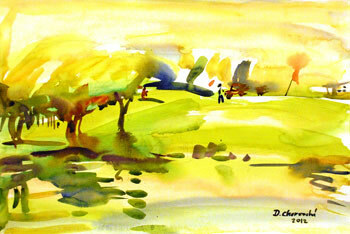 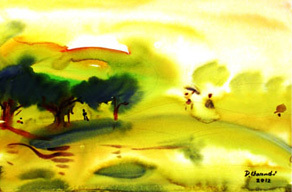 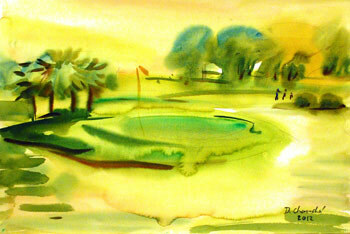 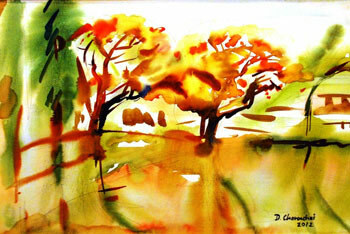 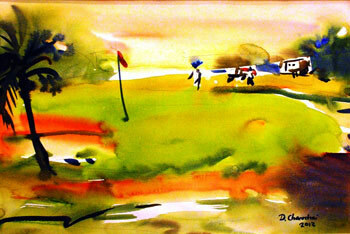 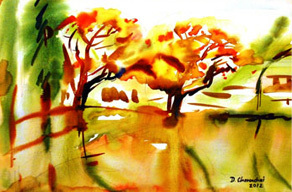 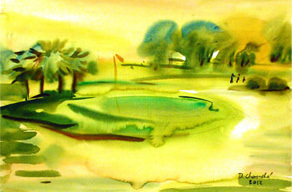 With his unique style of watercolour painting technique portrays the scene of a flooded golf course that was later recovered.